Strange are the ways of Telugu film industry. Until last year, Kajal, Tamannaah and Shruti Haasan were hailed as the A-listers, but now B-town bombshell Pooja Hegde is racing ahead of them in 2018 by bagging plum offers opposite superstars like Mahesh Babu, Jr NTR and Prabhas. The ‘Mohenjodaro’ actress has been signing mega projects one after the other. The big projects includes Jr NTR’s next with Trivikram Srinivas, which is touted to be another mega project. That’s not all. She will also be part of Vamsi Paidipalli’s next that stars Mahesh Babu. That’s three big films in a year! 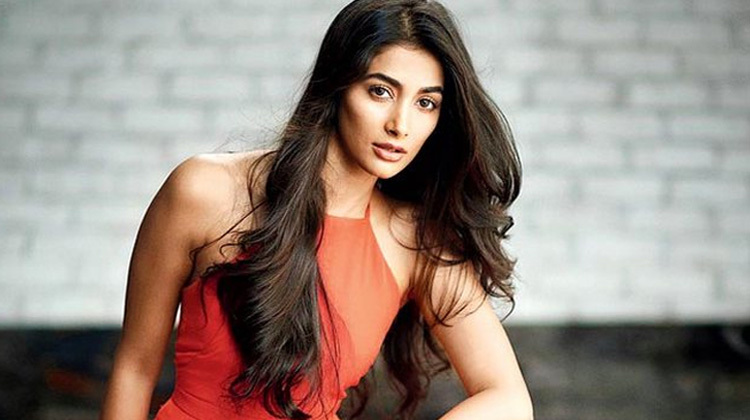 Pooja Hegde is on a roll and how! As for Pooja Hegde, she will soon be seen in ‘Rangasthalam’ dancing to a special number with Ram Charan. The actress has more than proved that she is an ace dancer as she effortlessly kept up with Allu Arjun, one of the best dancers down south, in ‘Duvvada Jagannadham’. Their song, ‘Seeti Maar’ has clocked in at least 40 million views on YouTube. We can’t wait for each of her films to go on floors! Pooja Hegde is clearly the flavour of the season.